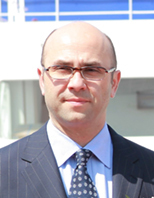 George Youroukos is the Founder and the Managing Director of Technomar Shipping Inc. He has been involved in shipping since 1993 when he joined a shipping Company in Greece. A year later he founded Technomar Shipping. He has been involved in the Container and Dry bulk sectors for more than 25 years, during which he has performed numerous sale and acquisition transactions and currently participates in Joint Ventures with Private Equity firms in both the Container and Dry Bulk sectors. Technomar today manages a fleet of 75 ships consisting of 38 containers and 37 dry bulk ships. Since 2010 Mr. Youroukos has served as the Chief Executive Officer of the Poseidon Containers Group, which controls 22 container ships. Mr. Youroukos holds a Bachelor's degree in Marine Engineering from University College of London University (UK) and a Master's degree in Engineering from Brunel University (UK). He has been appointed chairman of RINA Hellenic committee since 2011.